During CES 2018 this week Anker has unveiled the next generation of its PowerHouse portable battery, the PowerHouse 200. Created by building on the technology included in the first-generation offering a smaller and lighter mobile solution in the PowerHouse 200 offering a 60W Power Delivery output/input and a 200Wh capacity with a built-in 100W AC output enabling users to power, modern appliances if required all from a system that weighs less than 7lbs. The Anker PowerHouse 200 portable battery will be available during the summer months of 2018 and is expected to be priced at around $300. 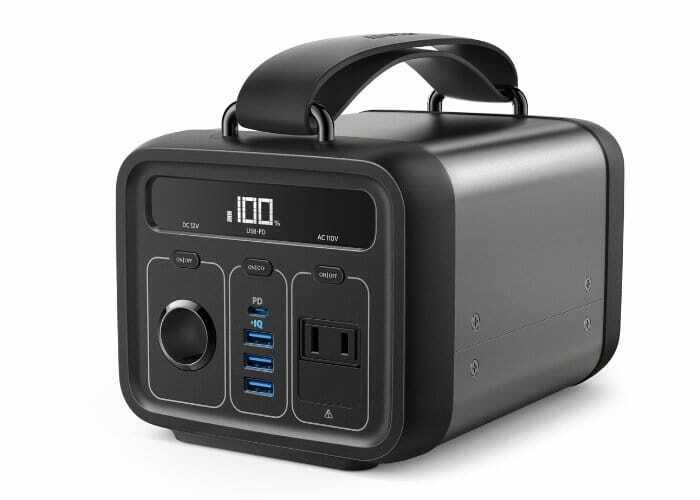 ANKER’s new line of Power Delivery products are the most versatile on the market, featuring a wide variety of power outputs and support for devices like notebooks, smartphones, appliances, laptops and more. Compatible with the new iPhone series and other wireless compatible phones, ANKER has released wireless chargers that maximize convenience and charge at the fastest speeds. Rather than constantly keeping track of charging accessories around the house, placing a few pads in strategic locations provide a simplified method of keeping devices powered. ANKER has solidified itself as the global leader in mobile charging solutions by providing simple ways to keep mobile devices powered in times of need. Over the years, ANKER has expanded its reach to encompass products across the entire spectrum of charging. This includes wireless charging, fast charging, smart wall chargers, and even Power Delivery technology. Right now, Power Delivery has established itself as the latest and fastest charging technology available to consumers. As soon as more information, specifications and availability are released by Anker we will keep you up-to-date as always.